Logan has the kind of Main Street that evokes the feelings that iconic designation should evoke. An actual striped barber pole adorns the wall outside a hair-cutting establishment. Used books fill the windows of a store; independently owned businesses crowd out the chains and franchises you see on most towns’ thoroughfares. And at the longest-surviving restaurant in town—The Bluebird—you can sit down at an actual soda fountain. 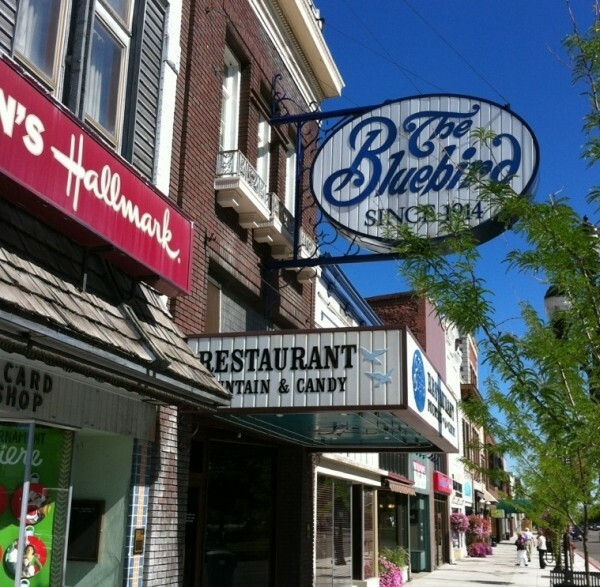 Established in 1914, The Bluebird is a full-service restaurant, serving up classic cafe fare for lunch and dinner. During a recent visit to Logan to attend the Utah Festival Opera & Musical Theatre Season, I settled in for lunch, which starts—like all meals there do—with a fresh, house-made roll. That might have been one carb more than necessary to accompany a generously sized Monte Cristo sandwich, the thick, egg-coated bread piled high with melting Swiss cheese and thickly sliced turkey and ham, accompanied by a choice of fries, chips or subtly creamy potato salad. Dinners feature stick-to-your-ribs stuff as well, from steaks to burgers. But the real old-time pleasures come from sitting down at that soda-fountain counter and ordering a specialty dessert. Thick milkshakes come in a variety of traditional ice cream flavors, plus unique variations like a rocky road shake that includes nuts and marshmallows. Or you could opt for the lighter ice cream soda, in a sweet combination like vanilla ice cream with real raspberry topping. Fresh pies are also on the menu. While it may seem unlikely that you’d still have a sweet tooth on the way out the door, you’ll be hard-pressed to resist taking something home from the candy counter adjoining the cash register, which shows off the wares of the Bluebird Candy Company. Those goodies may be available to order online, but buying them on the spot feels like taking home a little piece of Americana.